30 March 2018: Our students in grades 3-8 requested three levels of competition; they got it, and they had fun challenging themselves. Our winners were Arabella, an 8th-grader, with Kira very close; Samantha, a 4th-grader; and Anish, a 3rd-grader. The younger students watched with real interest. They’ll get their turn to learn and shoot. 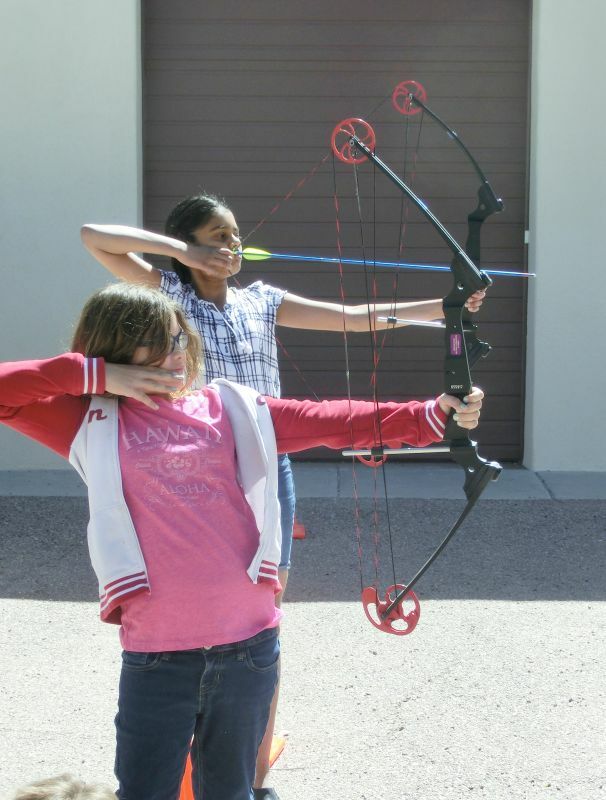 We thank Jeremy Lane and the New Mexico Fish and Game Department for loaning us the equipment, from arrows to targets!